OppLoans > Blog > Know Money Win Money! 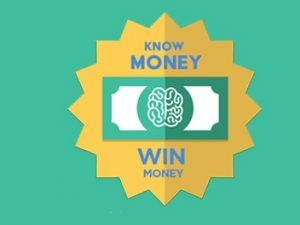 Financial Cents: Posts About Know Money Win Money! We visited a (slightly chilly, slightly underpopulated) farmer's market to quiz people on the money side of their favorite produce. So many people drink wine. But how many people know trivia facts about wine? We hit the Chicago Chocolate and Wine Expo to find out! In a shocking twist, we spend this week's episode on an epic scavenger hunt through C2E2 looking for the most expensive item we can find. Enjoy! We went to the Chicago Chocolate and Wine Expo and quizzed people about the financial side of, well, chocolate and wine! We went to C2E2 to see what the people knew about the financial side of The Avengers! More questions and cash prizes from our trip to the Chicago Auto Show! We asked folks at Winter Brewfest in Chicago about the most expensive beer commercial ever and how much the average drinker spends annually on beer. We took a joy ride over the Chicago Auto Show and quizzed attendees about the costs of car ownership. Enjoy! Konnichiwa, Knowtakus. You didn’t think we’d only have one episode at the Con Alt Delete anime convention, did you? We asked a bunch of beer-loving Chicagoans questions about the financial side of the beer business. Winners got some extra beer money!